The Department for Work and Pensions and HMRC have announced that a new taskforce will be introduced on 25th July 2011 to target benefit fraud from “postcode to postcode”. Claimants who admit any wrongdoing before the Mobile Regional Taskforce (MRT) catches up with them will be forced to repay monies owed to HMRC, however, those caught by the MRT will face stern punishment through fines, prosecution, or imprisonment. “This government will not tolerate money which is meant for those in genuine need being siphoned off into the pockets of cheats and fraudsters. “The new Taskforce is our latest weapon in tackling welfare fraud on the front line. We are sending a clear warning that if you are fiddling the system, you will be caught. Welfare fraud is a crime and takes money away from the most vulnerable. “People who are receiving the correct benefits and Tax Credits have absolutely nothing to fear. But if people have deliberately not told us of a change in circumstances, they should do so now, before the team comes knocking at their door. However, it remains to be seen how effective the MRT will be once the Universal Credit is introduced and changes to the 14,634,000 people claiming various benefits in the UK. New figures released show customer error is now costing the taxpayer more than fraud or official error. Lord Freud, the Minister for Welfare Reform, has announced that people who negligently give incorrect information on their claim or who don’t tell the Department quickly about a change in their circumstances will face a new civil penalty. 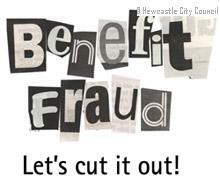 The latest fraud and error statistics show £3.4 billion was lost to fraud and error in the benefits system between April 2010 – March 2011. £0.9 billion has been lost to official error… tell us more? The penalty will encourage people to be more responsible in keeping their claims correct. In the future, claimants on out of work benefits will also have to sign a commitment which will set out their obligations and responsibilities. This new measure is set out alongside the Fraud and Error Strategy announced at the end of last year by DWP and HMRC that will reduce annual welfare fraud and error overpayments by one quarter (£1.4 billion) by March 2015. Universal Credit, which will replace income-related support from 2013, will simplify the benefit system making it even harder for fraud and error to enter and making the benefit system far easier to administer. … But wait a minute…… whats going to happen to officials who have made £0.9billion worth of errors???? Margaret Hodge MP, the committee’s chairman, said the Department for Work and Pensions had “to get its house in order”. For 2009/10, it is estimated that 2.1 per cent, or £3.1bn, of total benefit expenditure was overpaid due to fraud and error. For 2009/10, it is estimated that 0.9 per cent, or £1.3bn, of total benefit expenditure was underpaid due to fraud and error. In value terms, however, underpayments have risen from £1.2bn to £1.3bn, due to the growth in benefit expenditure. Income Support/Jobseeker’s Allowance benefit overpayment is 5.5% in October 2008 – September 2009 The same level as April 2008 to March 2009. However, the value of overpayments has risen from £640m to £700m, due to the forecast increase in benefit expenditure. Housing Benefit expenditure overpayment fell from 4.9% in April 2008 to March 2009 to 4.4% in October 2008 to September 2009. The value has decreased from £840m to £820m. Pension Credit benefit overpayment has decreased from 5.1% in April 2008 to March 2009 to 4.4% in October 2008 to September 2009, and from £390m down to £350m. Incapacity Benefit expenditure overpayment has decreased from 3.4% in April 2008 to March 2009 to 3.3% in October 2008 to September 2009, and from £220m down to £210m.